Judith Roney’s poems contain a distinctive musicality and a resilient voice. “The rush of the world begins” in the speaker’s grandmother’s frying pan, and she grows into a “patched and re-sewn” woman. Ever aware of “the hum of the dead,” this grown woman is “undefeated in fire, / in hot brew or man-talk.” The speaker is looking for some magic, something solid that will tether her to this world—a connection that won’t leave her, but will also give room to breathe. “With gravity gone it’s the will that holds me in place”—Roney’s speaker knows that the body is light, the spirit strong, and in the end that “moorings of the body lighten,” and “it might be good to let go.” This woman has had to let go. She’s let go of her father, her mother, an abusive uncle, a son for fourteen long years, husbands, and houses. She’s let go of herself. She has craved their return. 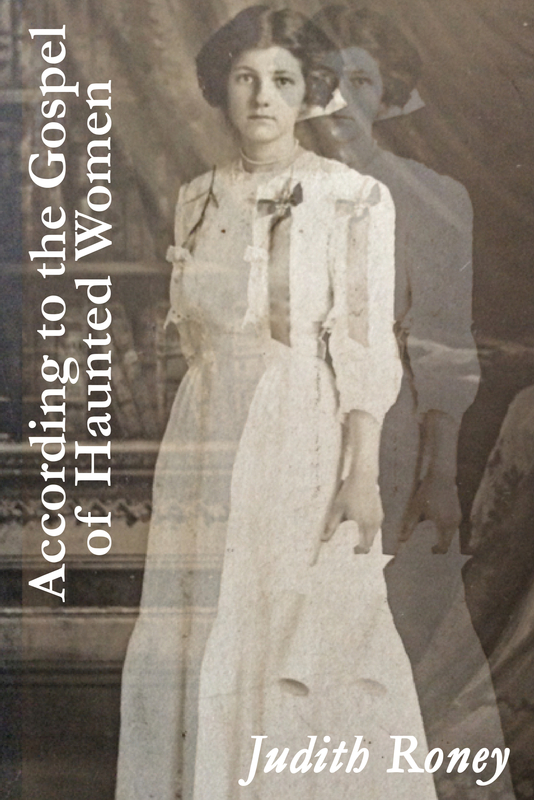 According to the Gospel of Haunted Women, in poem after poem, is a magical brew concocted by Roney that gives the reader strength for the “fragile world she’s made for us.” —Terry Thaxton, author of Author of Getaway Girl and The Terrible Wife, Associate Professor of English & MFA Program Director at The University of Central Florida. Judith Roney’s poems are alive with things: “virgin lamb’s wool roller” she plucks from her unknown father’s love letter. In her confident collector’s hands, we are reminded that vivid objects, massed around those who are absent or estranged, may let us touch what we never could in the world. From cradle-jars to mothball pouches (a husband is even married twice!) all find their way richly home in these wise, sad poems. —Teri Witek, author of author of 4 books of poems, most recently Exit Island, with a new book, Body Switch, forthcoming. She is also Sullivan Chair in Creative Writing, and Professor of English at Stetson University.